Nico Rosberg narrowly topped the times at Silverstone as running commenced in preparation for Sunday's British Grand Prix. Lewis Hamilton came a close second, ahead of Max Verstappen in the Toro Rosso. Raikkonen was the fastest Ferrari in 4th, ahead of Sainz, confirming Toro Rosso's initial solid pace, and Sebastian Vettel in the second Ferrari. 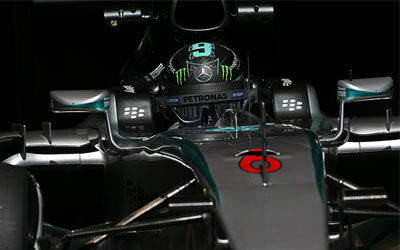 Rosberg though lost most of the session in the pitlane as his team crew were busy replacing the gearbox in his car. Even in his final laps, fitted with a new gearbox, the German reported harsh upshifts, even though he went fastest and was assured by the team that everything looked fine on the telemetry. McLaren's Jenson Button and Fernando Alonso also had a difficult first practice session, with both gentlemen limited on mileage by Honda.